Loving the look of plantation shutters? 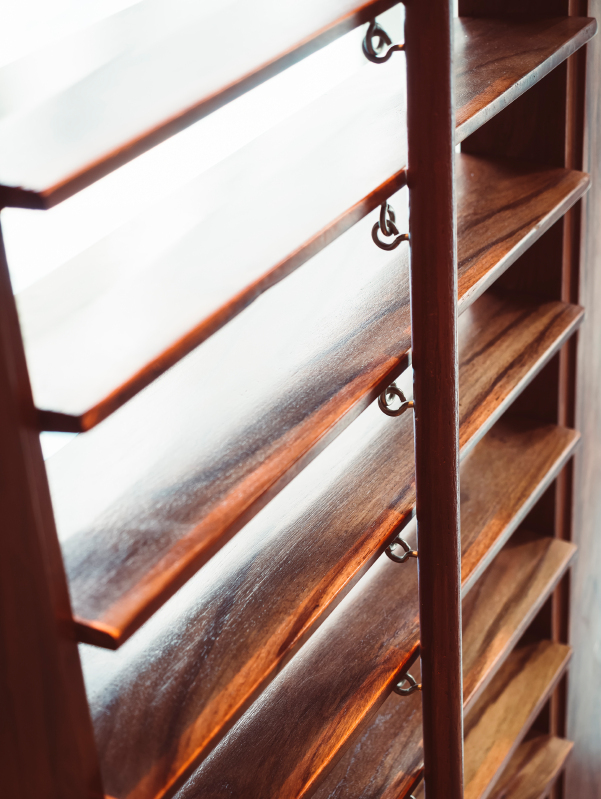 At Southern Shutters Shades and Blinds, we custom-fabricate your classic shutters (and other window treatments, too) from the finest hardwoods and synthetics. Since 1993, we’ve been proud to deliver exactly the look and function you require for your beautiful Austin home. Plus, we smoothly install your order on time according to your specifications. We consistently maintain an A+ rating with the Better Business Bureau and earn praise in scores of positive reviews from satisfied customers. Additionally, Southern Shutters Shades and Blinds is a Priority Hunter Douglas dealer. Expanding our own product line with the finest Hunter Douglas shades, shutters, sheers and blinds in Austin, our company features the same in-home consultation services for Hunter Douglas as we do for our private line of plantation shutters, blinds and other window covering products. Hunter Douglas designs and manufactures all its window coverings with your privacy and light requirements and energy efficiency in mind. Plus, the company features inventive Power View motorization. You can change the look and security of your Hunter Douglas shutters using a remote control, smart phone or tablet for accurate, hands-off control. Southern Shutters Shades and Blinds offers 3 kinds of Hunter Douglas plantation shutters. As with all our products, Hunter Douglas shutters receive the same in-home consultation and careful installation by real carpenters as do our in-house products. Classic Heritance. These hardwood shutters are incredibly durable and stylish. Made with worry-free dovetail construction for years of service, these shutters come in an amazing array of paint and stain finishes. New Style™. Hunter Douglas calls these inventive shutters “hybrids” because they are made from a smart combination of wood and modern synthetics. Their budget-friendly pricing makes New Style TM shutters a popular choice with Austin homeowners. Palm Beach™. Hunter Douglas crafts these stunning plantation shutters from a polysatin compound that is virtually impervious to signature Texas heat and humidity, UV-resistant, Palm Beach shutters do not warp, peel, crack or discolor. They’re the ultimate in worry-free window coverings. Regardless of your product selection, size of order or installation needs, your Southern Shutters Shades and Blinds representative comes right to your home for an initial consultation free of charge. He or she will measure your windows precisely, discuss your needs and preferences and present options suited to you and your home. Our in-house products are manufactured in Manor, TX. Some Hunter Douglas window treatments come from Houston and others from other facilities in the US, depending on product and material. Products take several weeks to make and ship. Your sales representative will keep you fully informed of the process and installation date. Explore what Hunter Douglas shutters could do for your home environment. Contact us today to schedule your complimentary in-home consultation.